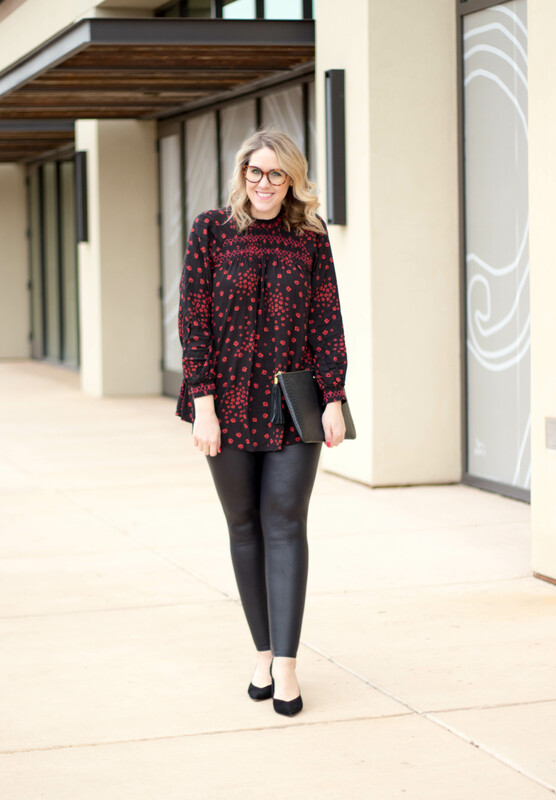 If you’ve been following me for awhile now, you may remember a few different outfits featuring faux leather leggings. I actually don’t wear them all that much because I generally prefer to wear jeans. 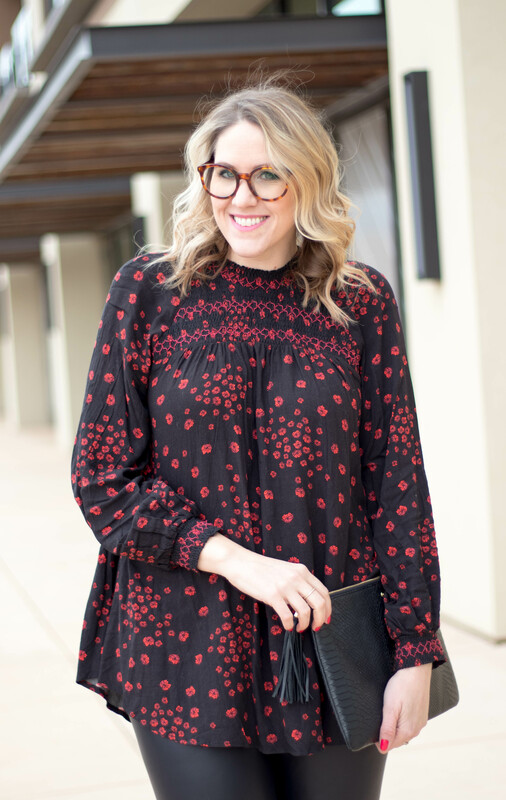 Every once and awhile they’re fun to pull out, especially when you find the perfect tunic to wear with them! 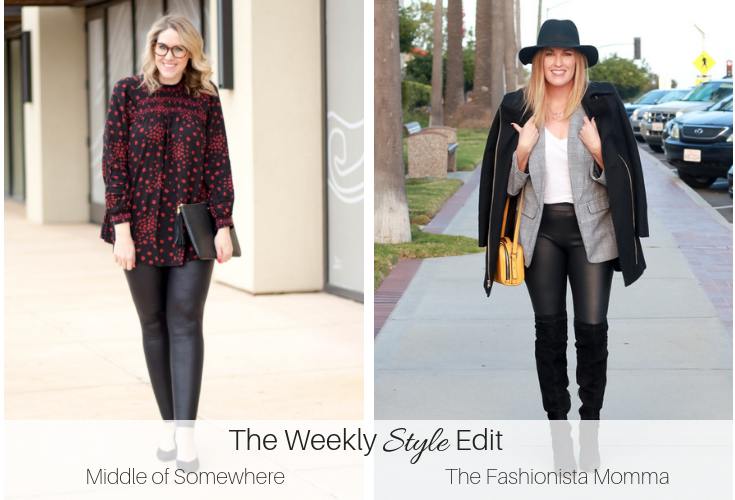 Today for The Weekly Style Edit, Megan and I are sharing two ways to rock your favorite pair of leather leggings! 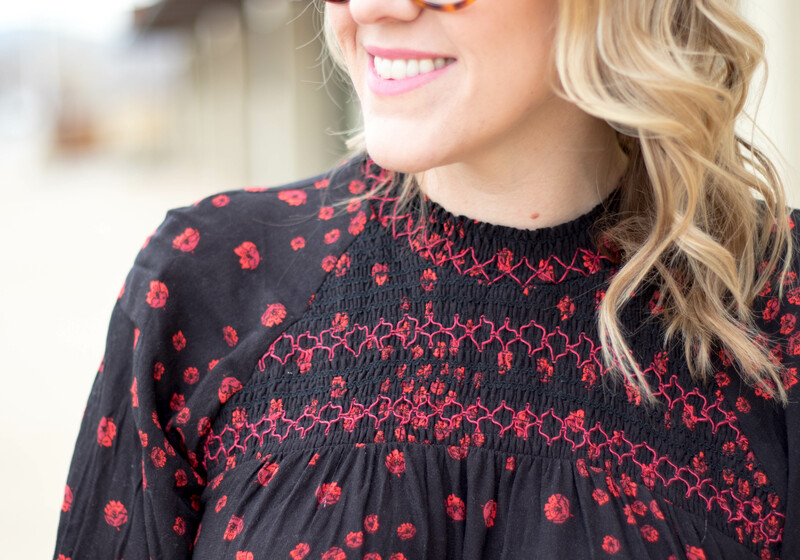 After putting this outfit together I realized it would make the perfect Valentine’s Day look! 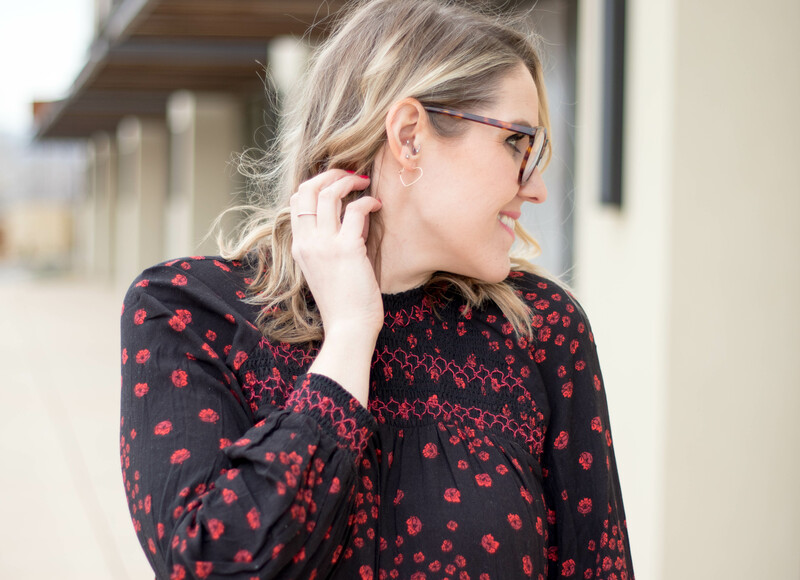 I have a few other Valentine’s Day outfit ideas here from last year if you’re looking for inspiration. 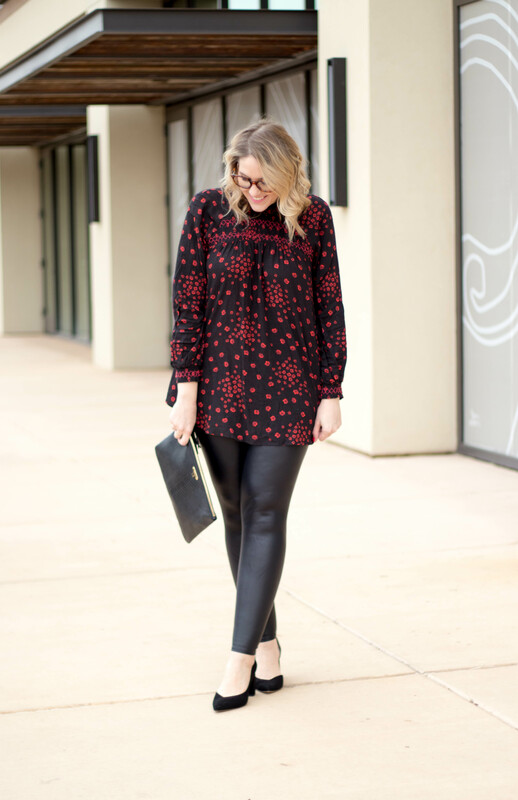 This outfit would even be appropriate to wear to work (which I actually did, minus the heels!). That is one of my favorite things about faux leather leggings. They can be worn in place of a regular black pair, can be dressed down with tennis shoes, or dressed up with heels or a great pair of boots. 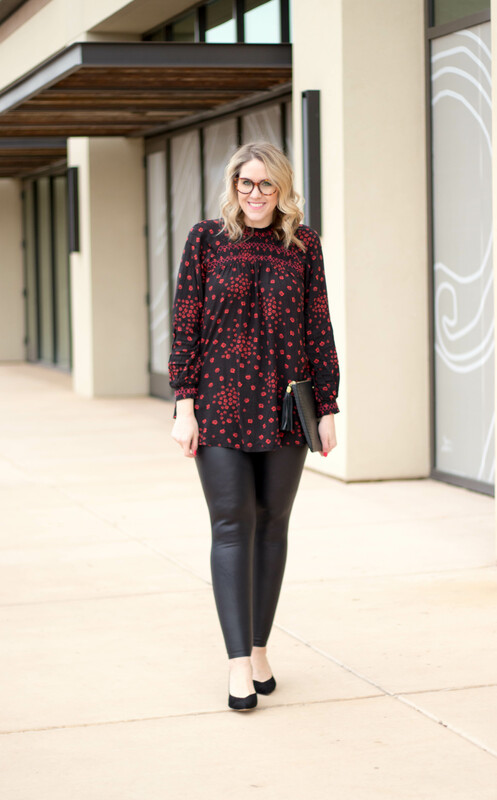 Have you tried faux leather leggings yet?